It's hard enough to operate an inn — without the added pressure of running a first-rate restaurant. But Vermont's 2015 Restaurateurs of the Year are at the Red Clover Inn, where chef David Coolidge is cooking up a storm. His menu — classic American fine dining grounded in French tradition — evolves daily, based on the availability of fresh, in-season local meats and produce. So, that fork-tender osso buco filet, braised in red wine and served with creamy polenta finished with Parmesan and butter? It's from Jersey Girls Dairy in Chester, just half an hour away. A plump, glowing-white cut of cod, shallow-poached in white wine with chopped chorizo, has traveled farther out of necessity, but the sausage was packed at nearby North Country Smokehouse. And the crushed fingerling potatoes — an ideal marriage of crispy and creamy — were grown locally. 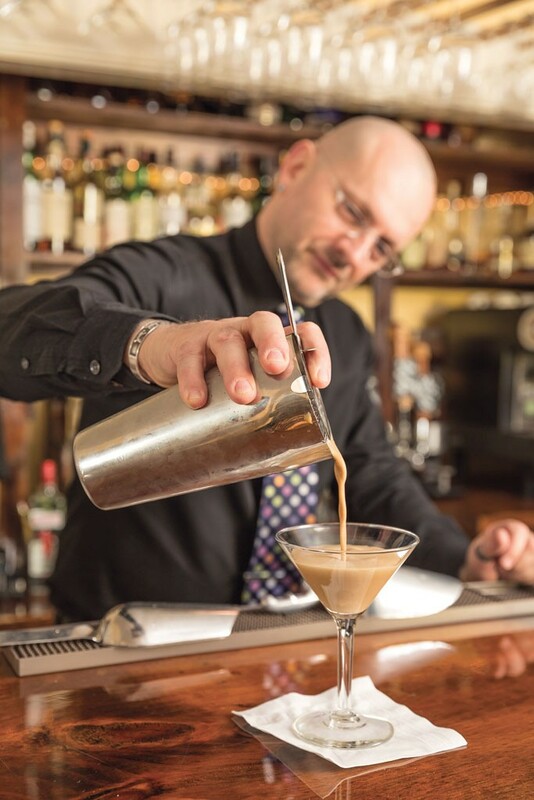 Head server Thomas Meek makes an Espresso Martini. If fish with sausage suggests an Iberian influence, it's because a former Red Clover chef hailed from a town in southern Massachusetts where more than a third of the population claims Portuguese heritage. 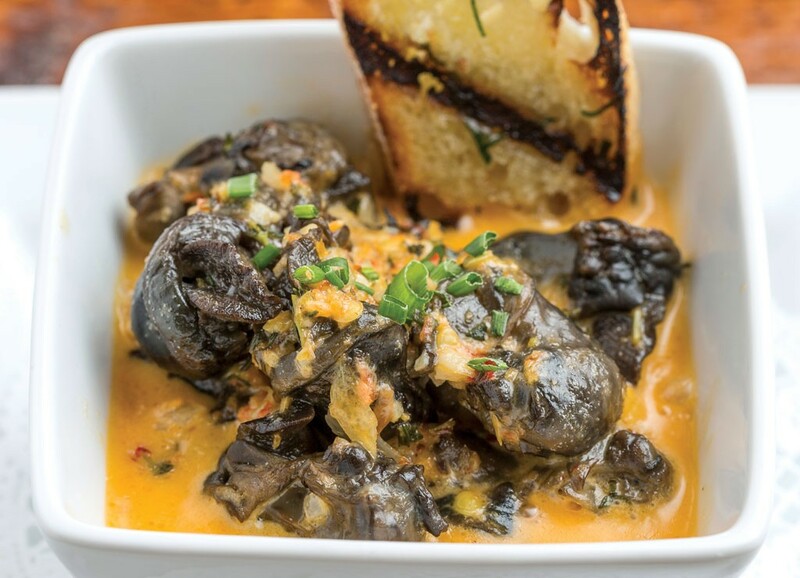 Coolidge recalls his old pal with another dish, too: a bowl of escargots sautéed in an herby piri piri-pepper cream sauce. Sop up the extra juice with grilled crostini. On Monday night, the $35 chef's tasting menu is an upscale but affordable alternative to cooking at home. Enjoy the chic cuisine with a bottle of wine — the globe-trotting list is more than 200 bottles strong. Featuring a blend of mature Old World vintages, southern-hemisphere surprises and haughty West Coast reds — all cellared in the inn's stone-lined basement — sommelier Thomas Meek's list shows nuance, knowledge and care. Satisfy your inner oenophile at one of his monthly first-Friday wine dinners, which might pair wild game with lesser-known "forgotten" grapes, or small-batch California wines with autumn harvest cuisine. Such meals are served with a side of romance in the picturesque formal dining room. But those looking for a quick bite après-ski can snag a seat at the inn's friendly tavern for snacks and local brews or cocktails. It's the perfect way to wind down from adventures just up the road at Killington and Pico.